Bicyclists, runners and walkers willing to brave the winter weather have some new ground to cover. The latest portion of the Schuylkill River Trail opened Wednesday in Philadelphia, extending the trail from the South Street Bridge to Christian Street. The Schuylkill River Development Corporation announced the news on Twitter, adding that an official dedication will take place in the spring. The soft opening comes with one caveat – the Schuylkill River Development Corporation is asking people to remain on the pathway until the plants and grass are fully grown. Eventually, the Schuylkill River Trail is expected to cover nearly 130 miles, stretching from Philly to Pottsville, Schuylkill County. 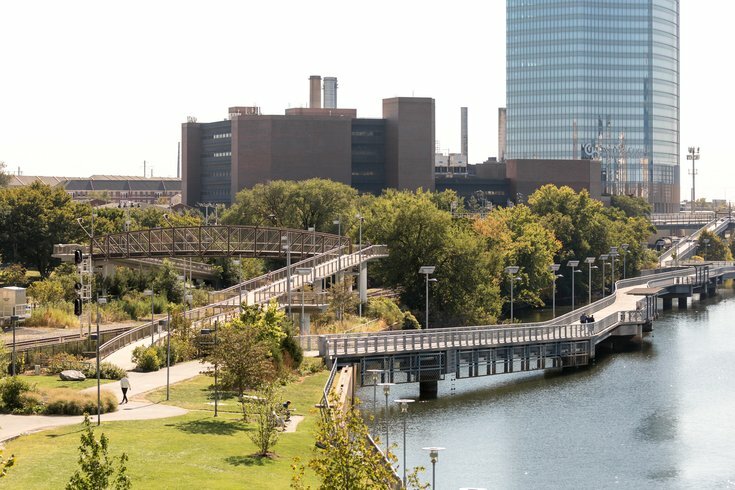 The new segment can be accessed at the end of the Schuylkill Banks boardwalk, where the trail intersects with the South Street Bridge. It provides additional space for people to meander south along the eastern shore of the Schuylkill River, but does not reconnect to Christian Street. Instead, the path eventually will connect to the Gray's Ferry Crescent Trail. That final Philadelphia section, projected to undergo construction in 2020, runs through an area that still is industrially active and may require another boardwalk structure. Additionally, a swing bridge connecting the Gray's Ferry Crescent Trail to Bartram's Mile is expected to be constructed later this year. The Bartram's Mile portion of the trail, located in Southwest Philly, opened last April.